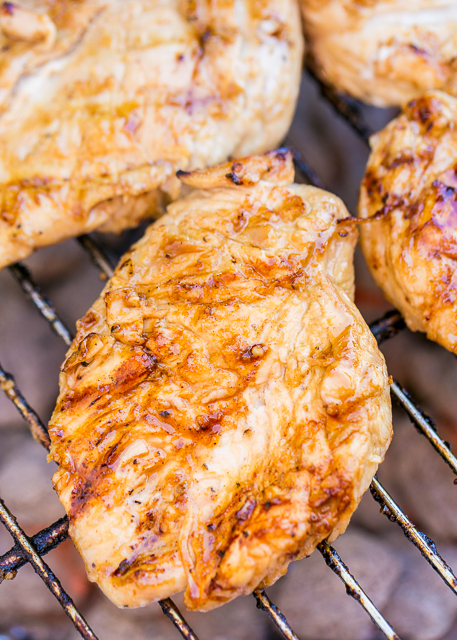 Lemon-Lime Grilled Chicken - we are obsessed with this chicken! SO good!!! Chicken marinated in brown sugar, cider vinegar, dijon mustard, lime juice, lemon juice, garlic, salt, pepper and olive oil. Can marinated overnight. We make this at least once a month! Packed full of AMAZING flavor!!! 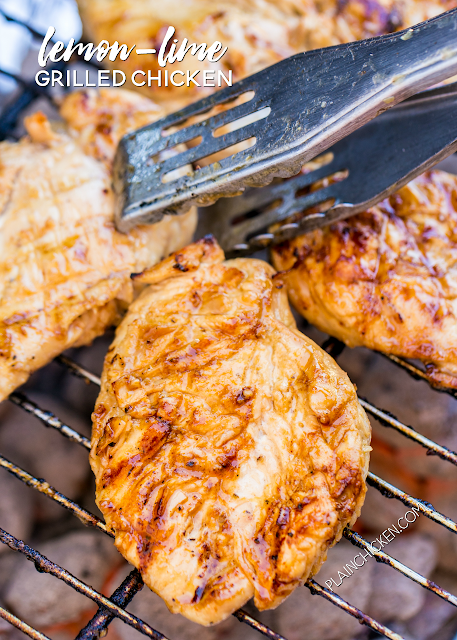 Great grilled chicken recipe! This Lemon-Lime Grilled Chicken is seriously delicious. We both took one bite and said "this is good!". We loved it so much that we made it twice in the same week. 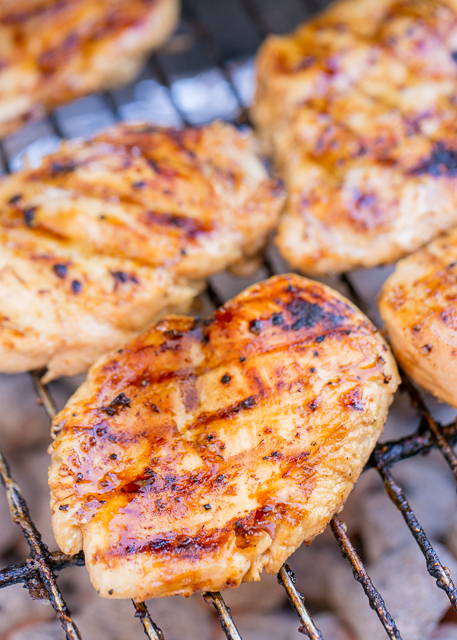 It is one of the best grilled chicken recipes we've made. I'm not just saying that. It is truly wonderful. This recipe uses the juice from fresh lemons and limes. Fresh is better, but you can definitely use the yellow and green bottles of juice too. We let the chicken hang out in the fridge in the marinade overnight. We are firm believers in the longer the better with marinated meats. Don't forget my tip for grilling tender and juicy chicken! Pound the chicken to an even thickness before marinating. Basically, pound the hump out with a meat mallet or rolling pin. We put the chicken in a ziplock bag, pound it and then add the marinade. Perfectly cooked chicken every time!! Place chicken in a gallon size ziplock bag. Whisk together remaining ingredients and pour over chicken. Seal bag and refrigerate 8 hours to overnight. Remove chicken from bag and grill until done, 5 to 6 minutes on each side. Oh boy this receipe looks and sounds super yummy, thx!